Kristen brought over the most amazing cheesecake I have ever tasted. 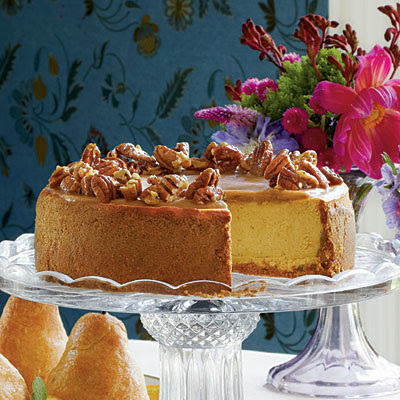 She got the recipe from the November 2011 issue of Southern Living. So, if you're still in need of a yummy dessert to make for Thanksgiving, you can find this cheesecake recipe here.